It is understood that the Care Quality Commission carried out a surprise visit to Colchester General Hospital on 12 November. This revealed not only concerns about the large number of patients arriving at the hospital through the Accident and Emergency Department but also a major incident involving inappropriate restraint, resuscitation and sedation of elderly people. It has been reported at the weekend (Saturday 22 November) that this major incident, the details of which are still not yet clear, is set to continue and that the Hospital will carry out a review in the afternoon of Monday 24 November. 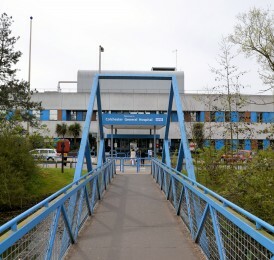 When the major incident was first announced the Hospital put up notices urging the public to attend A&E at Colchester General Hospital only if their condition was serious and life-threatening. It seems that the public heeded this message and the number of people going straight to A&E dropped from 240 people per day to about 125 per day during the last week. It was reported however that the walk-in centre had seen a marked increase in the number of people coming through the doors. Indeed, on Friday 21 November it was reported that the problems seen in the A&E department in Colchester were happening elsewhere in the country. The Government sets a quarterly target for hospitals to see 95% of emergency cases within four hours. Last week A&E departments in England saw only 92.9% of patients within four hours and A&E waiting times have failed to meet the target since the end of September. The percentage is now at it’s lowest level since April 2013. Unfortunately it does not seem likely that the figures will improve during the coming week as NHS workers, including nurses, midwives and ambulance staff, are staging four-hour strikes today, Monday 24 November, in England and Northern Ireland as part of a pay dispute. The strike will be followed by up to six days of work-to-rule. Measures will include members claiming pay for extra hours or refusing to work overtime and staff will take all breaks to which they are entitled. Unfortunately when resources are stretched, as they are at the moment, things can and do go wrong. Julian, an accredited Clinical Negligence solicitor with 25 years experience will be appearing on Dream 100’s Ask the Expert feature this coming Wednesday 26 November. He and his colleague, Steve Webb, an accredited personal Injury solicitor also with 25 years experience will be chatting with Murf about Hospital Accident and Emergency departments and some of the problems that can occur when resources are stretched.